Surface Resistivity is 10^8 – 10^9. 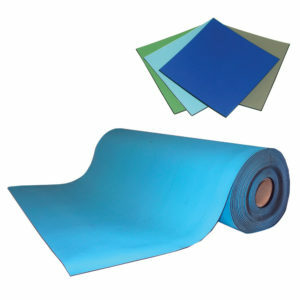 The VinylSTAT FM4 ESD floor runners and chair mats provide superior ESD properties along with the rigidity needed for today’s office or manufacturing envi-ronment. 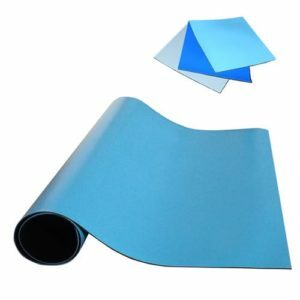 The ESD Chair Mats are made of rigid solid vinyl with a buried conductive layer, giving it consistent electrical properties. 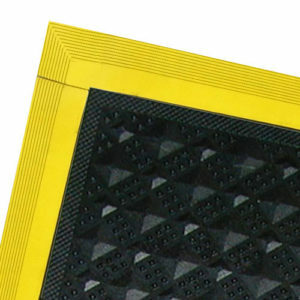 The FM4 ESD mat provides superior physical properties along with the rigidity needed for today’s office or manufacturing environment. 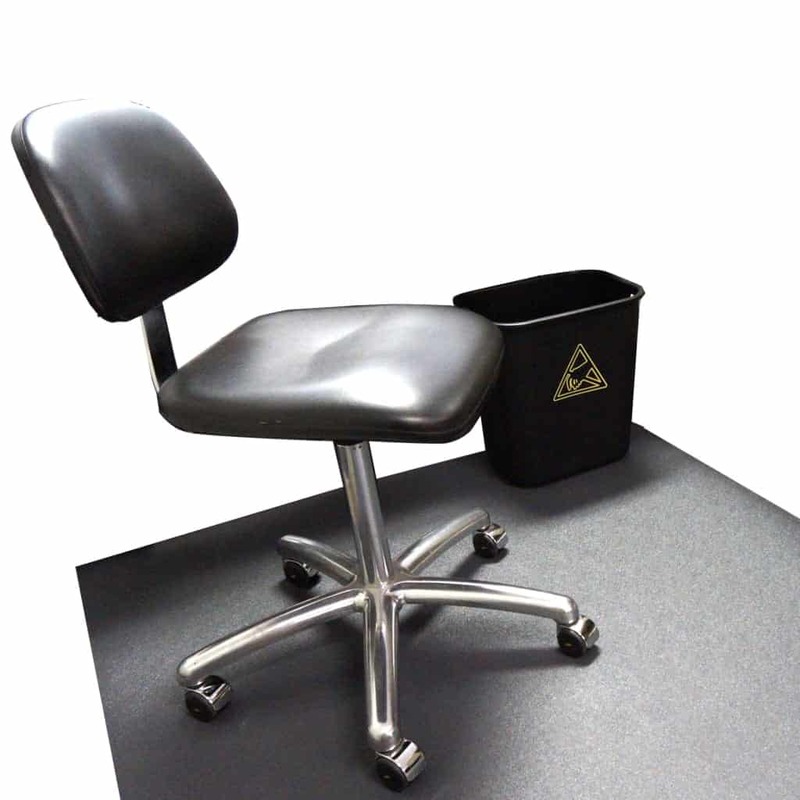 FM4 ESD Chair Mats are resistant to degradation by inorganic acids, organic acids, reducing agents, detergent solutions, alcohols and mineral oils. Surface Resistivity is 10^8 – 10^9. 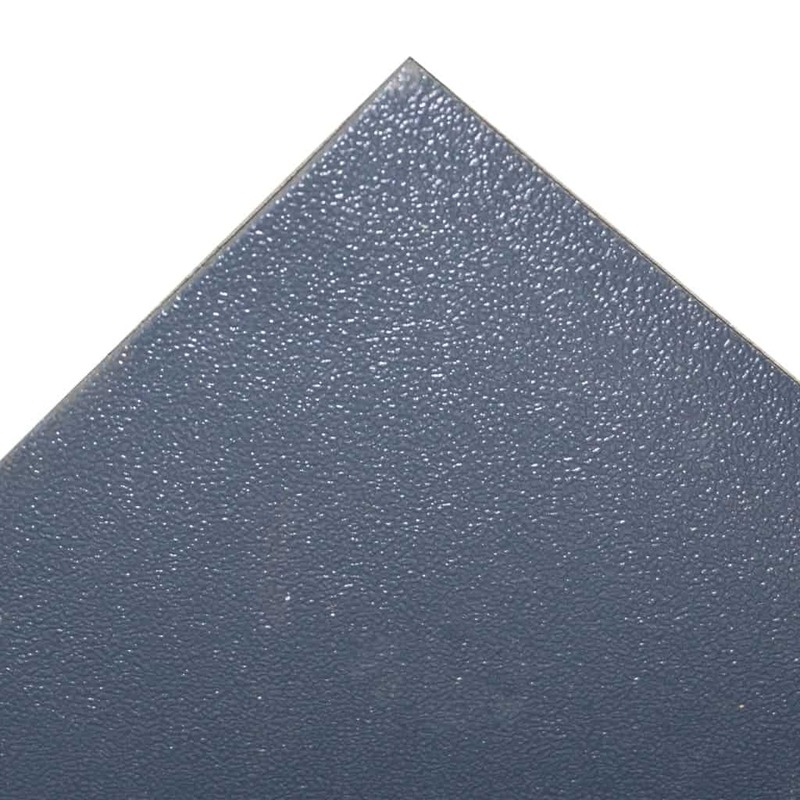 Comply with flammability standards DOT FMVSS 302, CPSC FF 1-70. Meets ESD S4.1-1997. 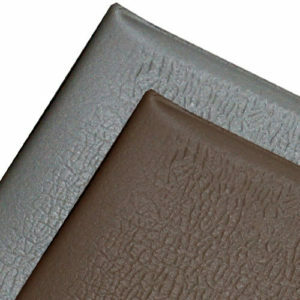 Available in Gray color only with embossed pebble pattern. Kits include the mat and a FM1515 ground cord.